Our mission is to increase the learning opportunities and enhance the academic achievement of homeless and highly mobile youth. Opportunities to participate in extracurricular enrichment activities (field trips, Homework Clubs, Family Reading Nights, and Summer Reading Clubs). Migratory children who qualify as homeless because they are living in circumstances described in the above clauses. (See the McKinney- Vento Homeless Education Assistance Improvements Act of 2001, section 725). In 2008, CEP Founder, Erica Mohan, began volunteering with School on Wheels, an organization that has been tutoring homeless children in the Greater Los Angeles Area since 1993. In Spring of 2010, Erica began working full time for School on Wheels in their Downtown Learning Center. Understanding the critical need to academically support homeless children and realizing that the Bay Area lacked an organization specifically dedicated to providing such support, Erica founded Community Education Partnerships. CEP volunteers began providing mentoring and tutoring to homeless and highly mobile youth in Oakland and Berkeley in 2011. Since then, it has grown steadily and now serves students in San Francisco, Oakland, Berkeley, San Leandro, Richmond, and Alameda. 2,483,539 children experienced homelessness in the U.S. in 2013. This represents one in every 30 children in the U.S. Increased in 31 states and the District of Columbia. State Policy and Planning Efforts Each state received a score for each of the four domains. California received a ranking of 48, as described in the report card below. From: America’s Youngest Outcasts: A Report Card on Child Homelessness. (2014). Waltham, MA: The National Center on Family Homelessness at American Institutes for Research. 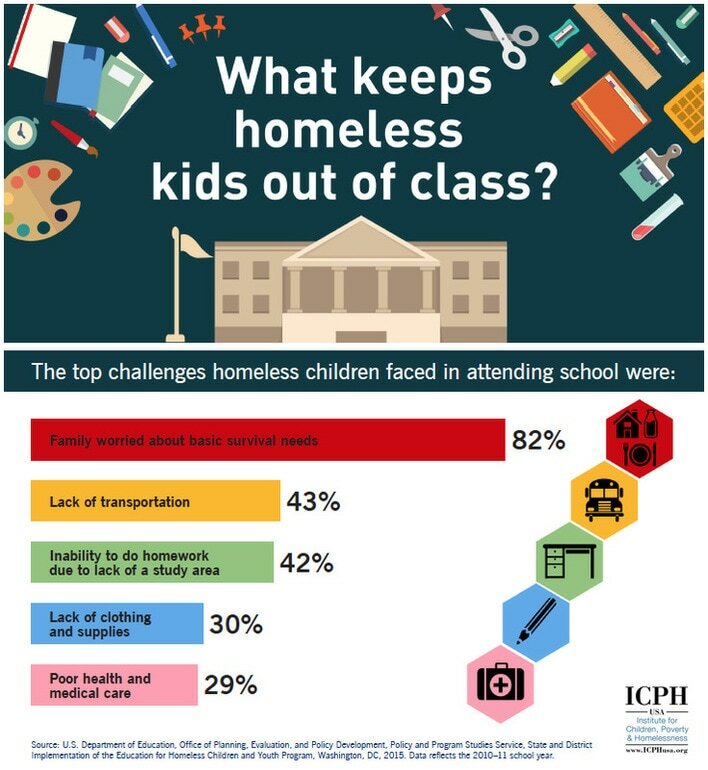 According to the Institute for Children, Poverty, and Homelessness, homeless youth are significantly less likely than their peers to be proficient in math and reading in elementary school. Research shows that these gaps in reading and math achievement are not made up over time, and only continue to grow through high school (Voight et al., 2012). How ever persistent these achievement gaps between homeless and highly mobile students and their more economically advantaged peers may be, Hebers et al. (2012) found that “ For families living in extreme poverty with high risk for homelessness and residential instability, a strong start in the early school years may have a particular significance as a protective factor for child achievement ” (p. 367).